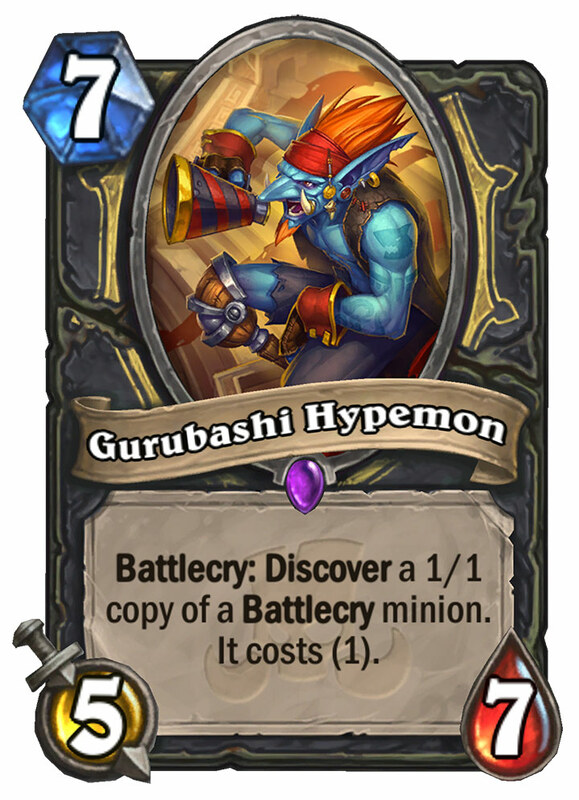 IGN unveiled a new Epic Rogue Card called Gurubashi Hypemon. 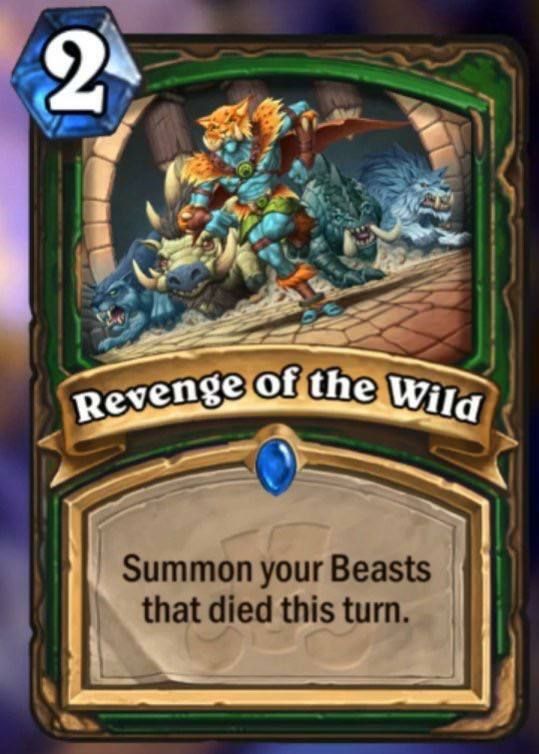 Revenge of the Wild is a 2 Mana Rare Hunter Card that was revealed by the Thai site MustPlay. Check out our Rastakhan's Rumble expansion hub for the latest Card reveals! I kind of like Gurubashi Hypemon. Maybe because I love the Discover-mechanic in general. But there are soooooo many Battlecry-Minions out there and the effects range from quite powerful to "give your opponent stuff"...so the chance of getting enough value to make the high costs worthwhile might be quite low. Anyways...can someone tell me what the heck a "Hypemon" supposed to be? A digimon based on hype from unreleased garbage cards? It's a play on 'Hypeman', someone who amps up a crowd before a spectacle to essentially 'build hype'.